Alcohol is outrageously expensive, especially when drinking to get drunk at a bar (which is how many of us drink). Fortunately, we all know there’s a simple way to cut down on that cost: Stick with the well specials! Why wouldn’t you? You’re drinking to get drunk, not to savor the smoky aroma of a top-shelf Scotch. Of course, drinking from the bottom of the barrel does have one major drawback: Your hangover the next morning is going to feel like a speed metal drummer hammering on your skull with a rubber brontosaurus. What you’re not paying for with cash, you’re paying for in the form of a brutal, brutal headache and dizzying nausea. Put simply, congeners are byproducts of the fermentation process that our bodies struggle to process. 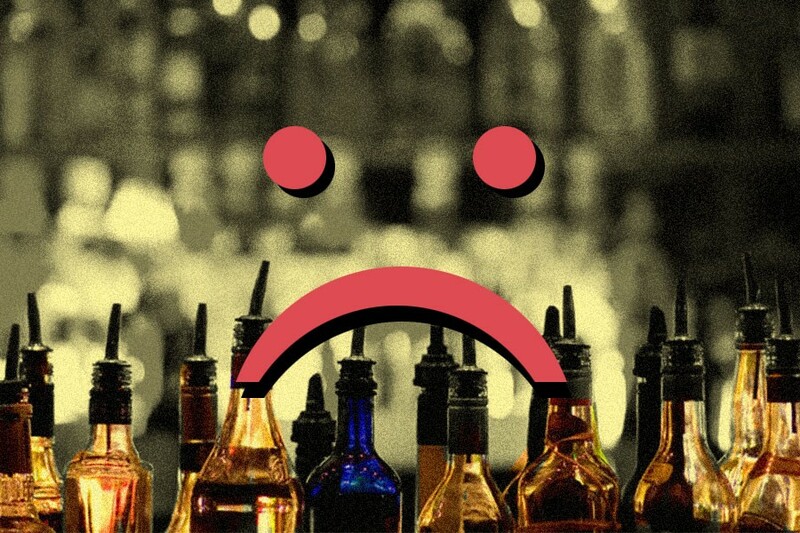 As a result, alcoholic beverages containing more congeners result in worse hangover symptoms — and it’s widely believed that because cheap booze begins with lower-quality ingredients, more congeners are produced during the fermentation process. Cheap booze is also typically distilled (or purified) fewer times than the top-shelf liquor, which is another reason they might contain more congeners and impurities. It’s worth noting as well that darker liquors tend to have higher concentrations of congeners than their clear counterparts. A recent study found that bourbon (which leaches flavor, color and other congeners from charred barrels during the aging process) contains 37 times more congeners than vodka (which is purposefully purified). Which makes sense: The mark of a good vodka is zero flavor, whereas a good whiskey should have a distinct flavor, much of which comes directly from these congeners.